Camp Bestival 2019 - News - Camp Bestival Is GO!! Journey through space and time with The Incredibles, Wonder Woman, the Dalai Lama, an NHS nurse, Hermione Granger, PJ Masks, Sir David Attenborough, Serena Williams, Harry Kane, Spider-Man, Arya Stark, teachers, Tom Daley, Ghandi, Matilda, a paramedic on a night shift, Nelson Mandela, Anna and Elsa, Michael Jordan, firefighters, Guardians of the Galaxy, Frida Kahlo, Moana, Rey, farmers, Usain Bolt, Fantastic Four, astronauts, Malala Yousafzai, Katniss Everdeen and you! Gasp in wonder at the might of ordinary people doing extraordinary things for the greater good of the human race. Watch as superheroes and sidekicks use their superhuman powers to help fight off evil villains, protect the public and save the Universe! And never forget the hero inside of all of us. Whatever comes our way we can unite with feats of ingenuity, bravery and strength to overcome. 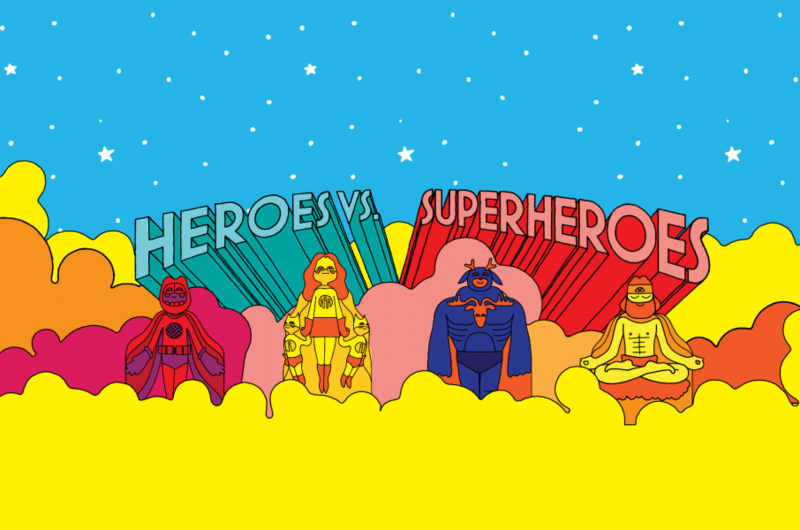 So pop on your masks and capes, harness your inner powers, and focus your mind on 4 days of heroic fun at the ultimate hideout, Lulworth Castle, next summer. 2019 Tickets go on sale this Friday at 10am - don't miss out! Payment plans are available, plus anyone buying Camp Bestival 2019 tickets before December 13th will receive some extraordinary Camp Bestival stocking-fillers with our superhuman Christmas Offer!